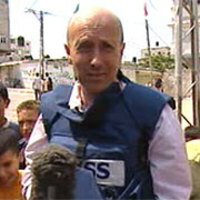 Alan Johnston, BBC reporter in Gaza has now been held captive for 100 days. Our thoughts and prayers are with him, his family, the people in Gaza and yes his captors. Life does not stand still and like voyeuristic flies we buzz from one hot new topic to another and in our flying suffer some sort of amnesia. The friends and family of Madeleine McCann have done very well to keep her story and profile in the news for so long. The story of her family, the fear that this could happen to our kids, grips us all and weighs heavy in our minds and on her hearts. We cry "God have mercy" and pray that she is alive and will be returned to her family soon. 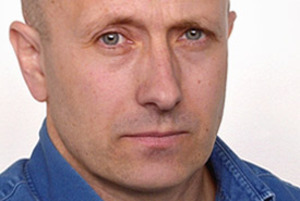 But what of Alan Johnston? Do we pray for him? Do we remember him or is he forgotten? On Tuesday I was doing some teaching on the wisdom literature of the Old Testament. One of the issues I raise about Ecclesiastes is that some of it's theology sits ill with the rest of scripture. As an example of this I used 2:16 where it talks about being forgotten in death. I explained that to be forgotten in Jewish thought of that period was to not exist. In some respects we still think like this - "out of sight out of mind" is a phrase we still use. Yet we need to remember and remember rightly. We need to remember Alan Johnston, for to forget his plight it to forget the plight of the many who do not pull at out heart strings, to forget his plight is to forget the un-known kidnapped around the globe and of whom we never hear. MP's will today participate in a vote on wither the UK should re-new it's Trident nuclear missle system. It seems that there is a reasonable number of MP's who will vote against it's re-newal. I pray they will not loose their nerve, that God would add to their number that they would have a vision for a more just, less dangerous world. update - the Government won the vote to replace Trident. I've posted some thoughts on Still Small Voices today. The first story from an asylum seeker is now up on Still Small Voices.